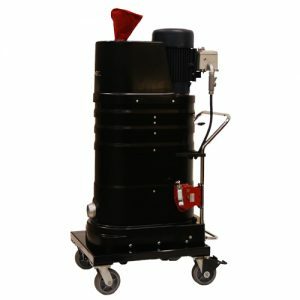 Certified combustible dust vacuums 9 gal capacity | Latta Equipment Inc.
Ruwac’s FRV Series offer state-of-the-art multi-stage turbines that deliver years of maintenance free performance and produces the most CFM available in their class. 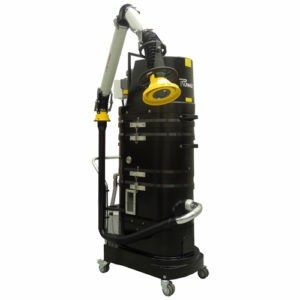 With features and guarantees exclusive only to Ruwac’s explosion proof vacuums our FRV series will provide maximum safety, high-performance cleaning, low maintenance costs, and easy operation. We guarantee it! 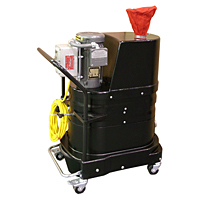 Made in the USA every FRV vacuum is built to order and ETL certified to UL and CSA standards for Class I Div 1, 2 Group D and Class II Div 1, 2 Group F & G. Designed especially for explosive dust situations and OSHA compliant in accordance to CPL03-00-008. Under 8 ft. certified for indoor use. The more powerful models can be connected to tubing for a mini central system. 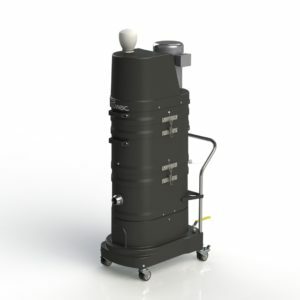 Call us for a personal consultation by a certified Ruwac explosion proof application engineer.